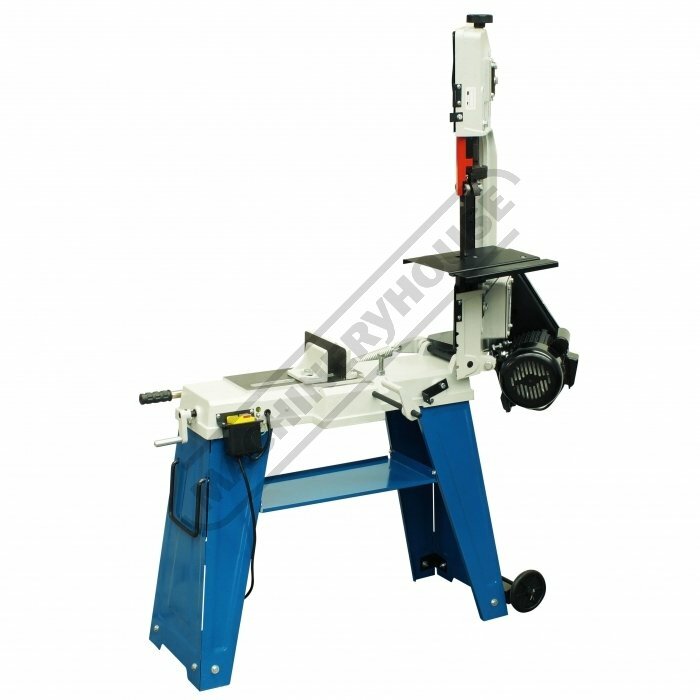 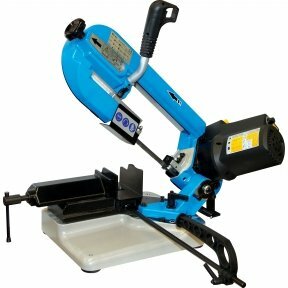 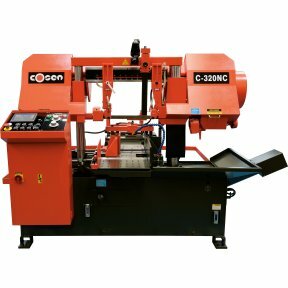 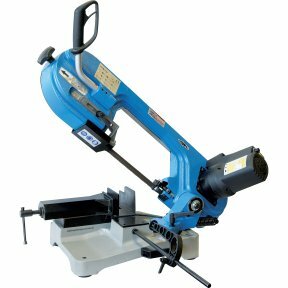 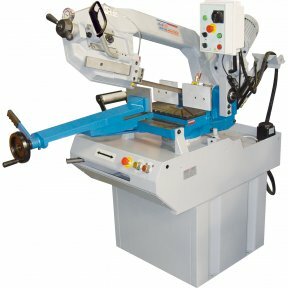 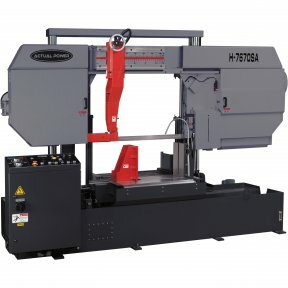 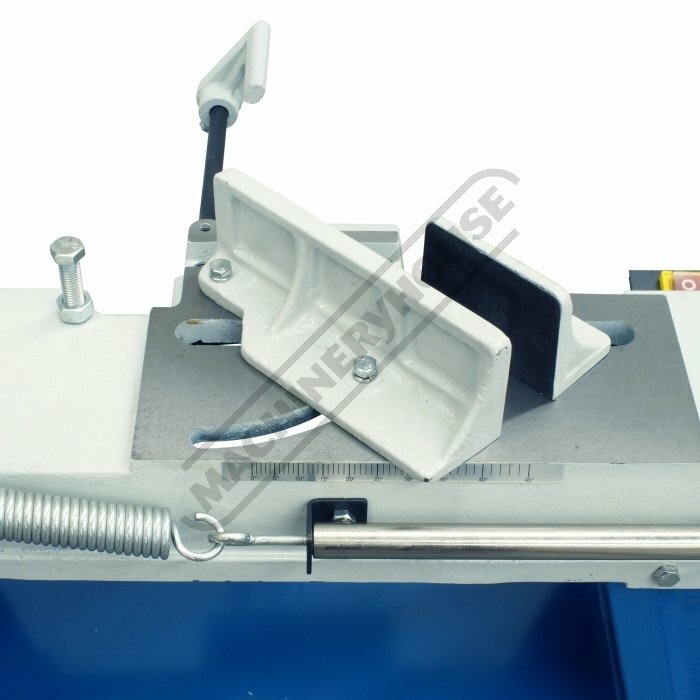 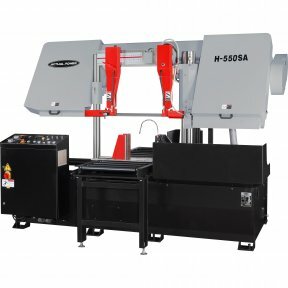 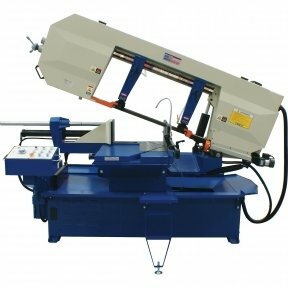 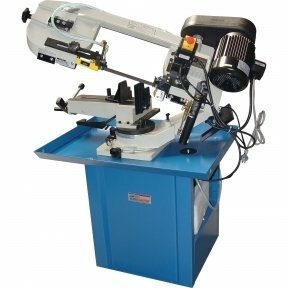 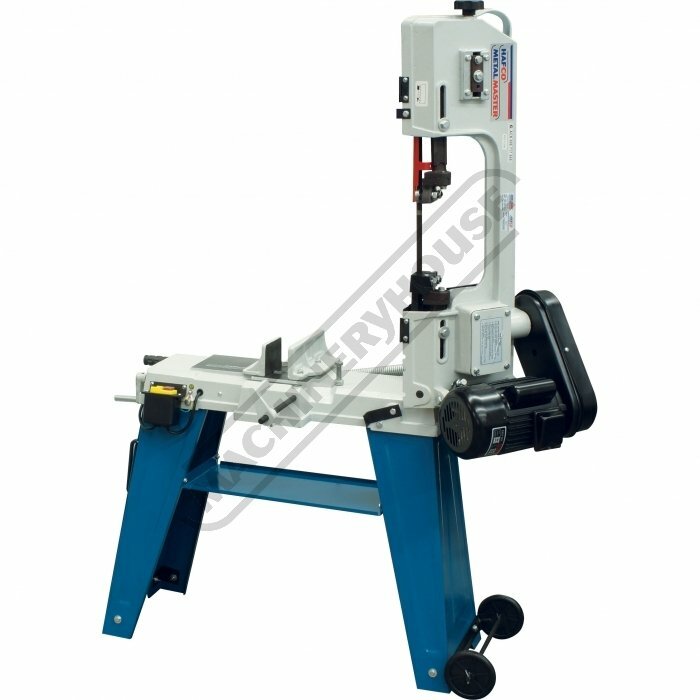 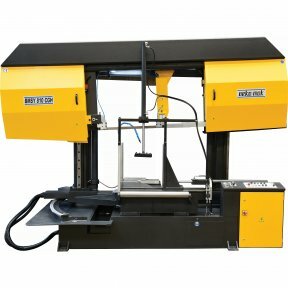 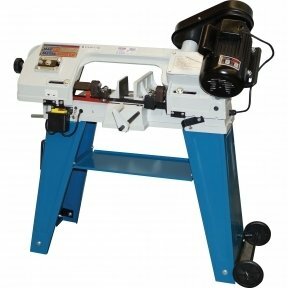 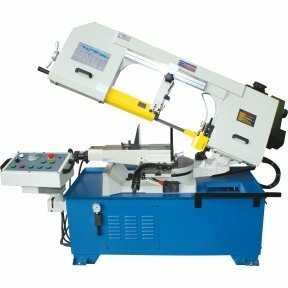 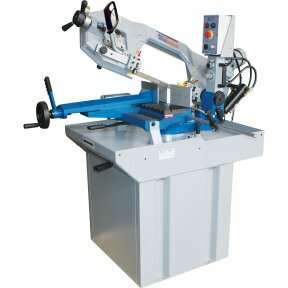 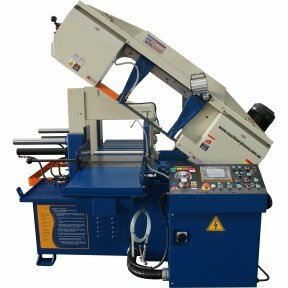 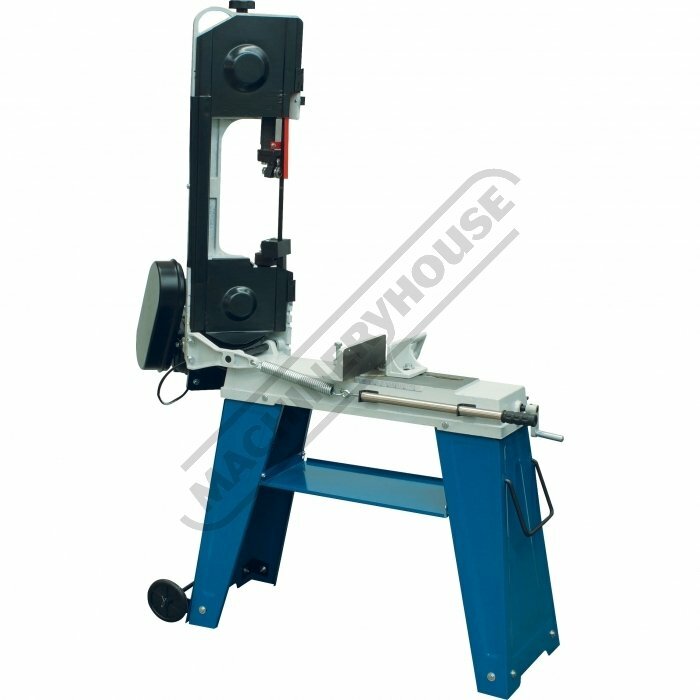 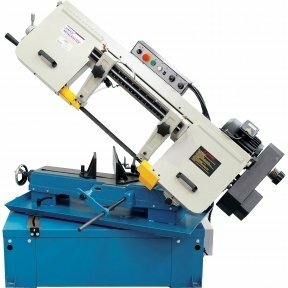 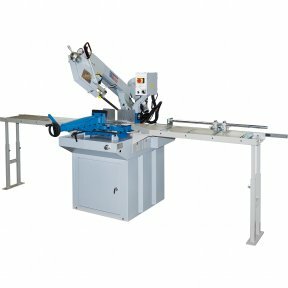 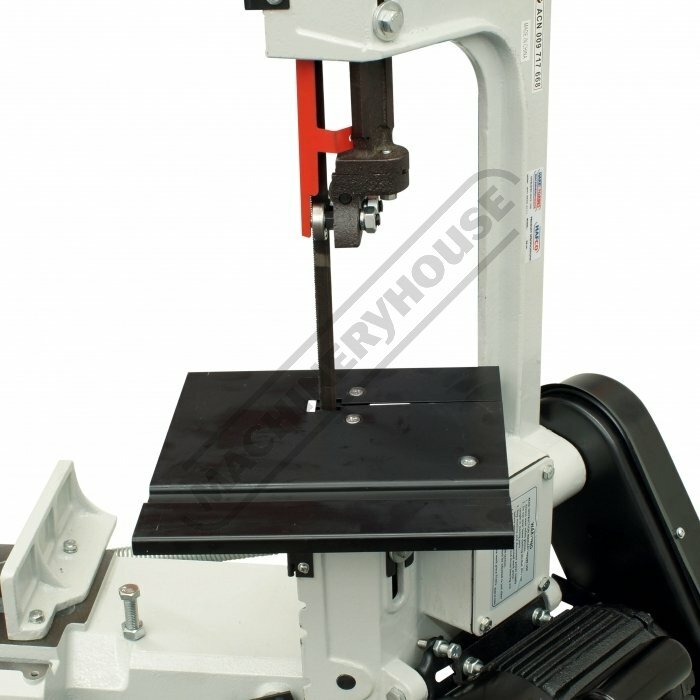 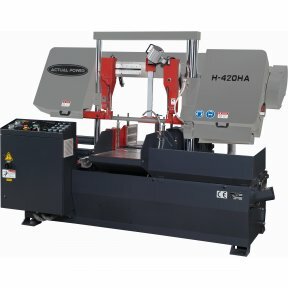 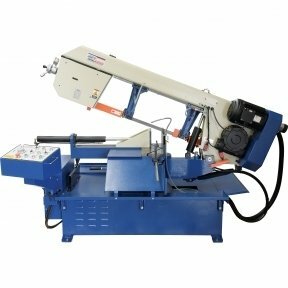 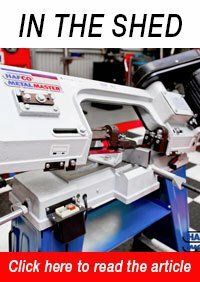 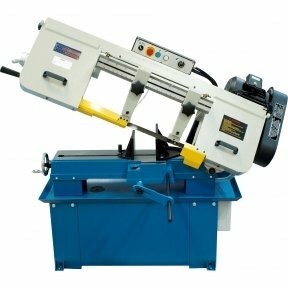 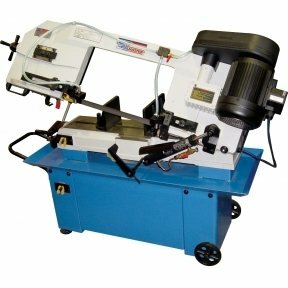 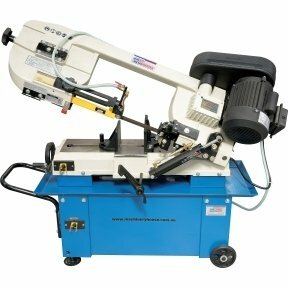 The BS-4A is an economically priced metal cutting band saw with a robust four-legged stand cross braced with a under tray and built-in mitre cutting capability. 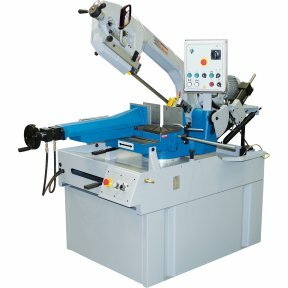 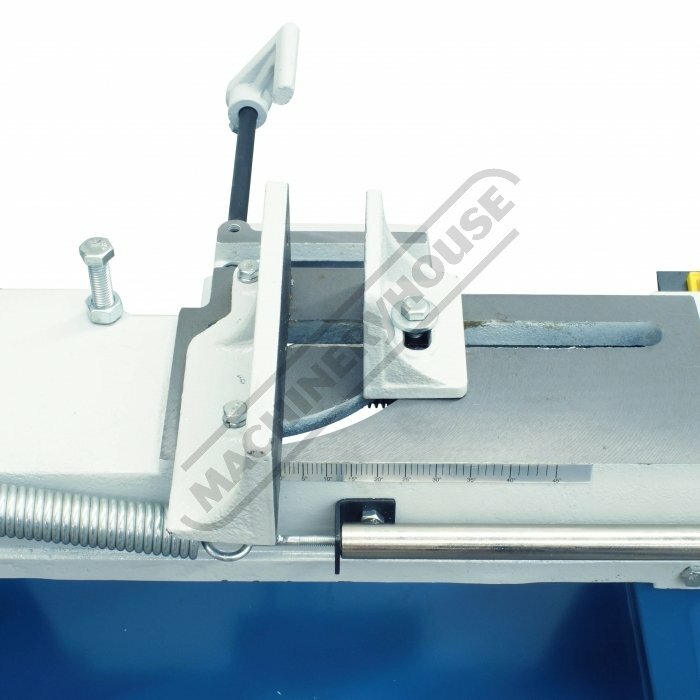 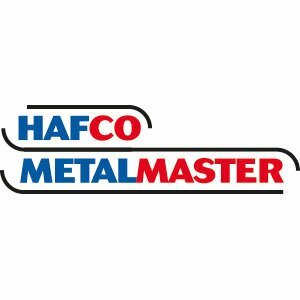 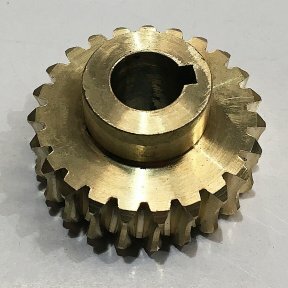 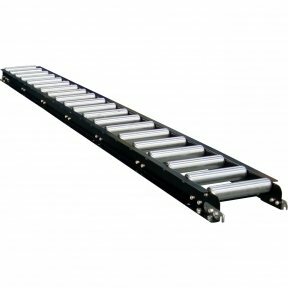 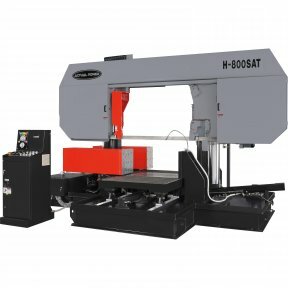 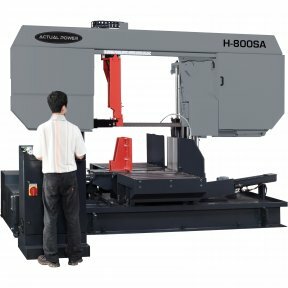 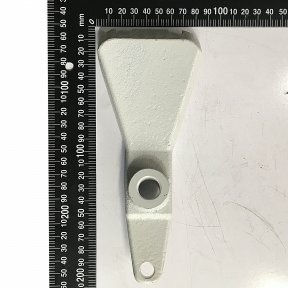 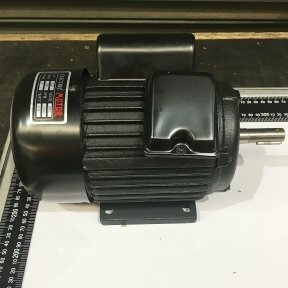 The ball bearing guided blade can be driven at a choice of three speeds via a reduction gearbox, depending on the type of material being cut and there is an automatic cut-off, adjustable for height, for stopping the motor when the cut is complete. 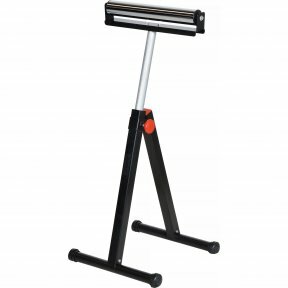 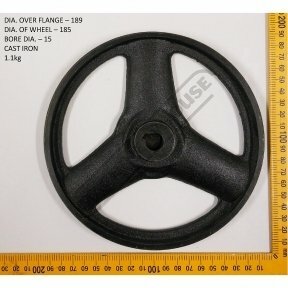 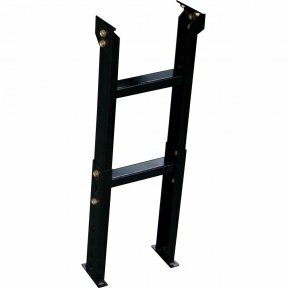 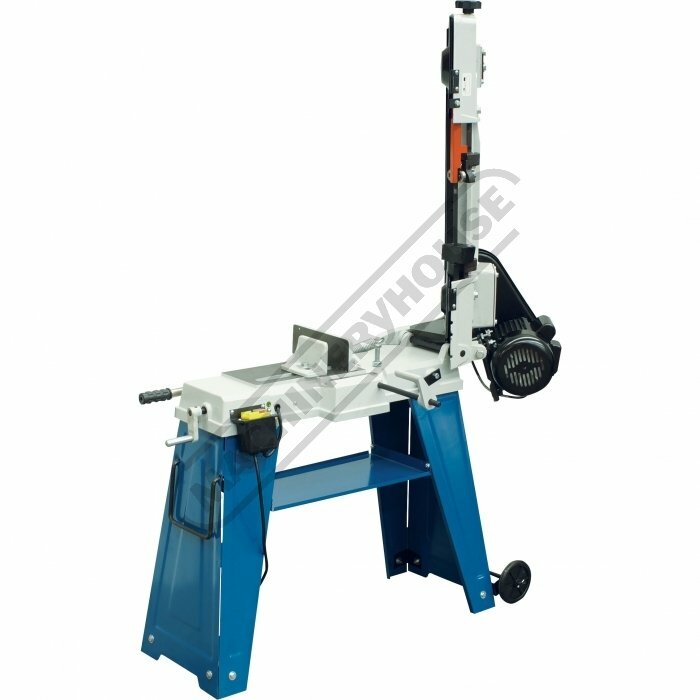 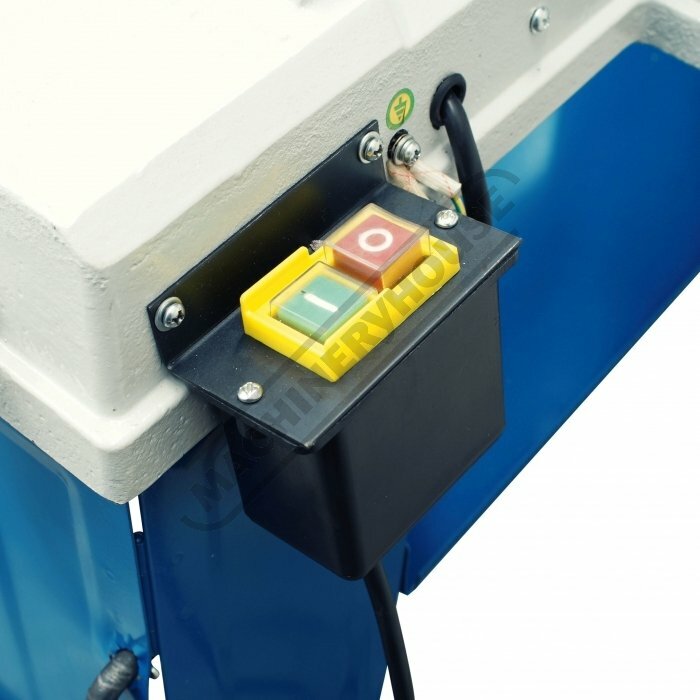 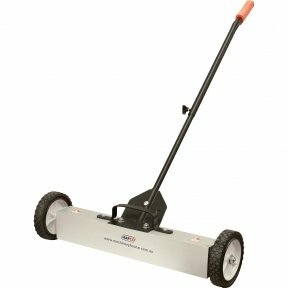 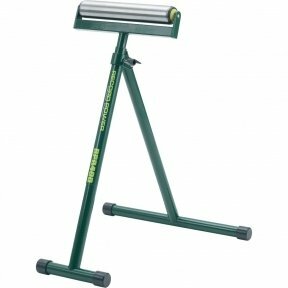 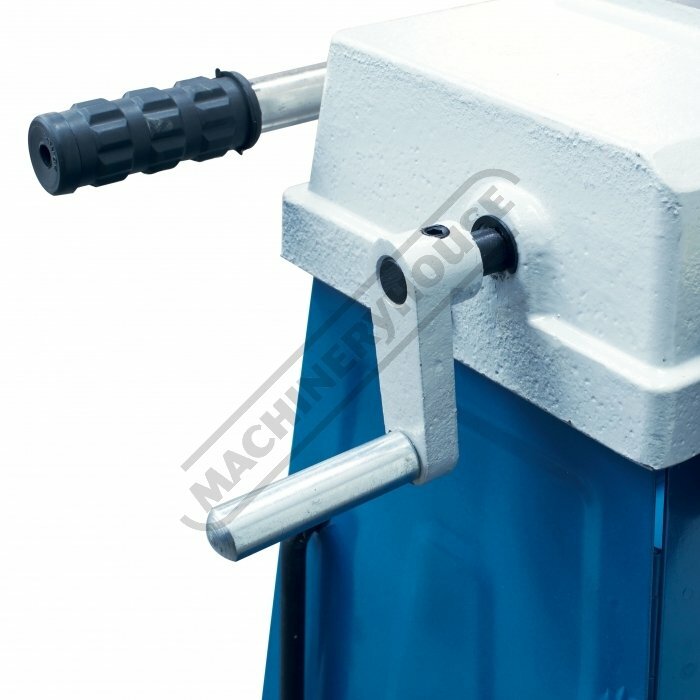 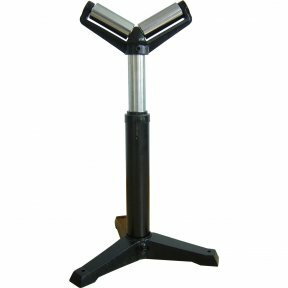 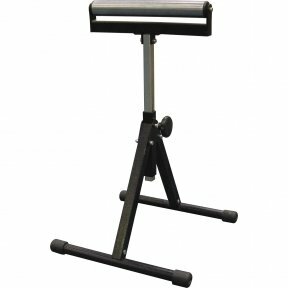 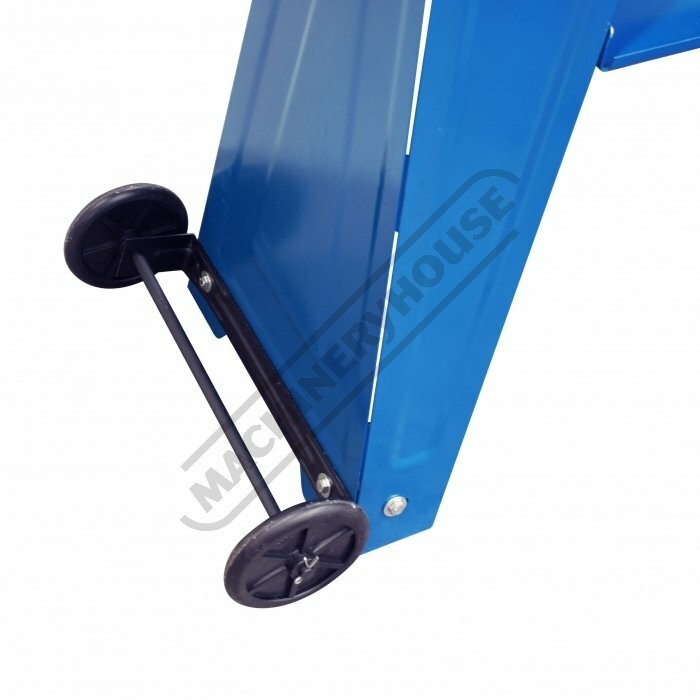 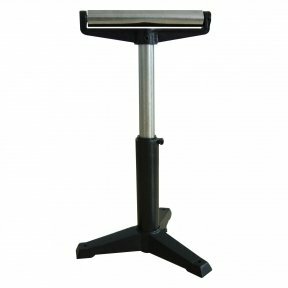 One notable feature on this saw are the rear mounted wheels on the stand allowing it to be portable, ideal for maintenance shops, light steel fabrications, and engineering workshops. 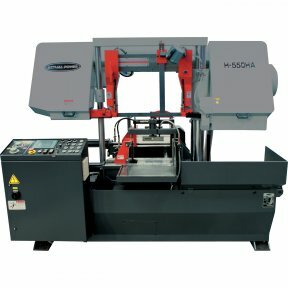 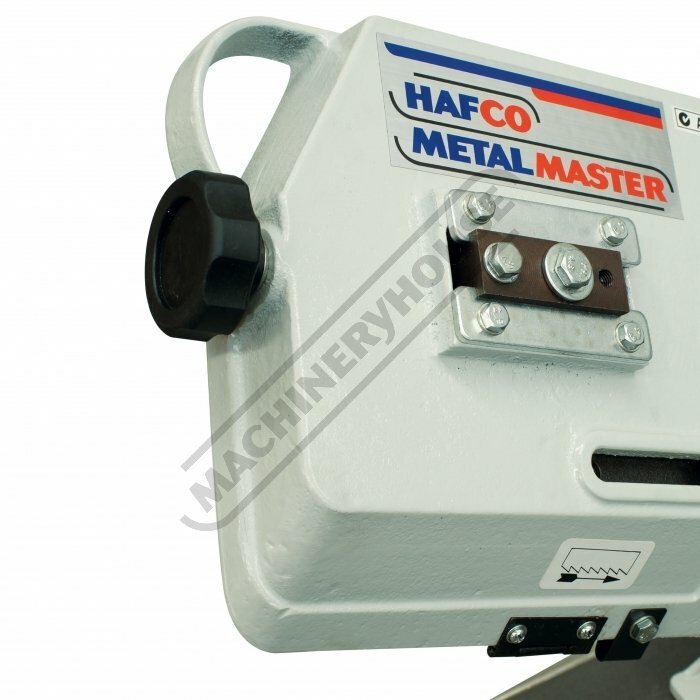 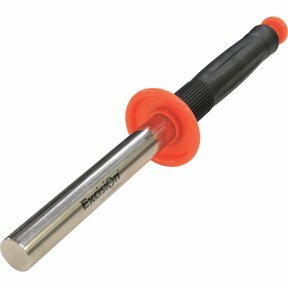 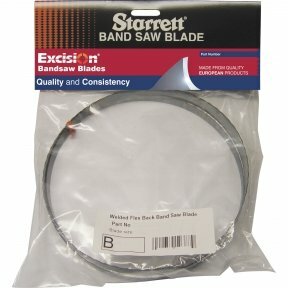 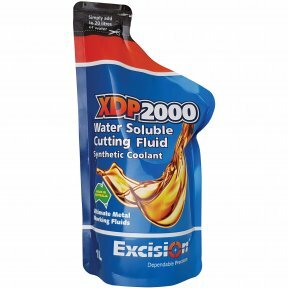 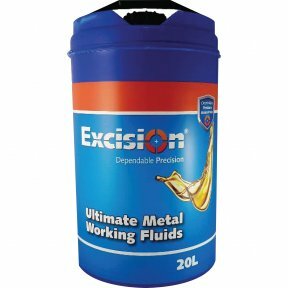 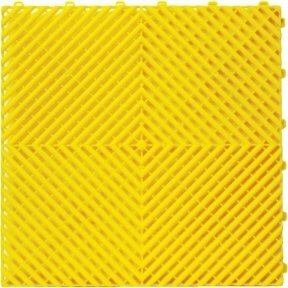 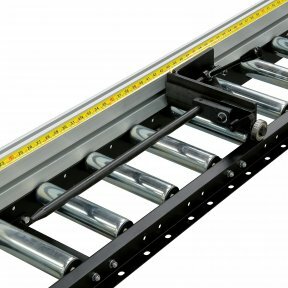 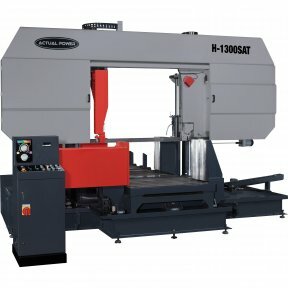 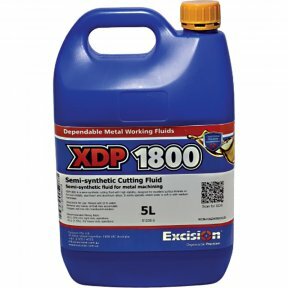 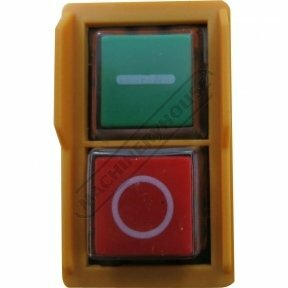 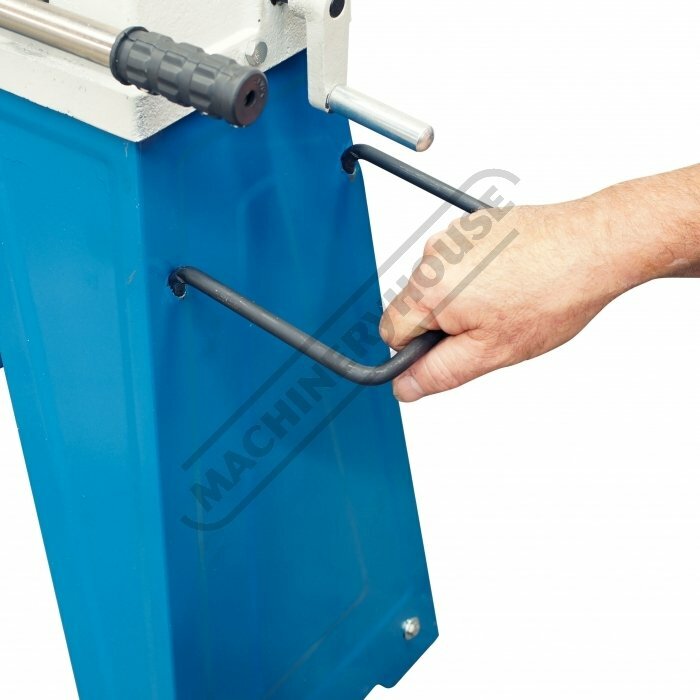 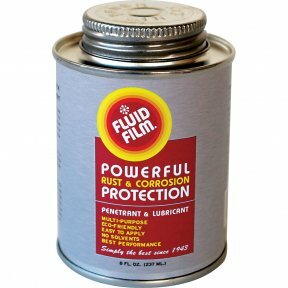 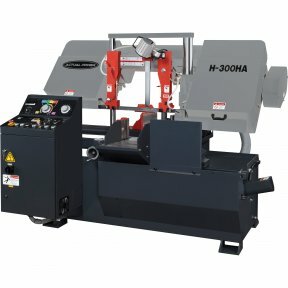 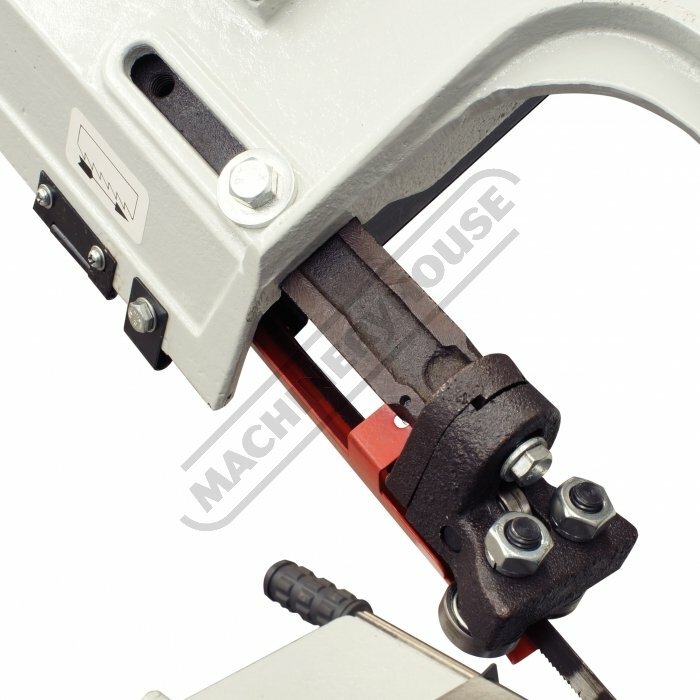 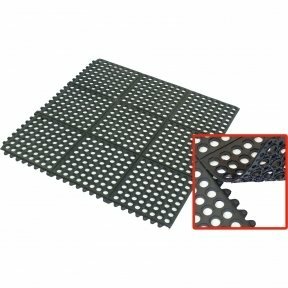 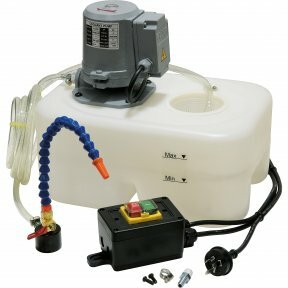 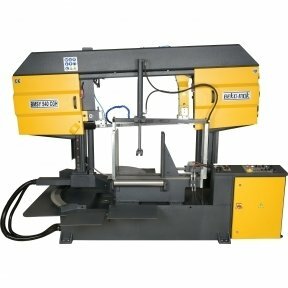 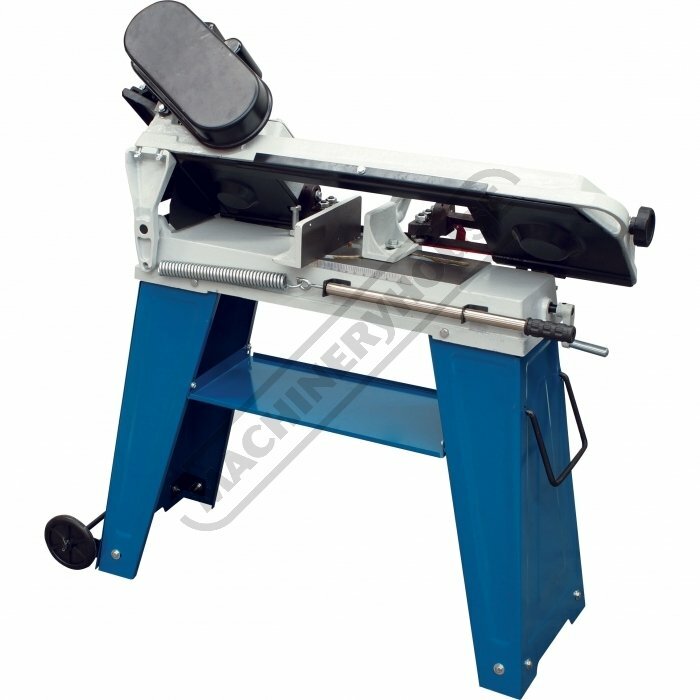 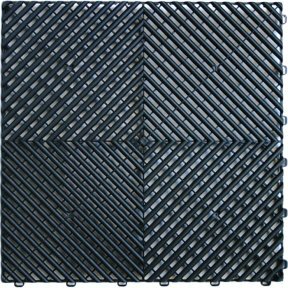 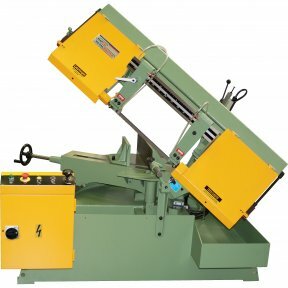 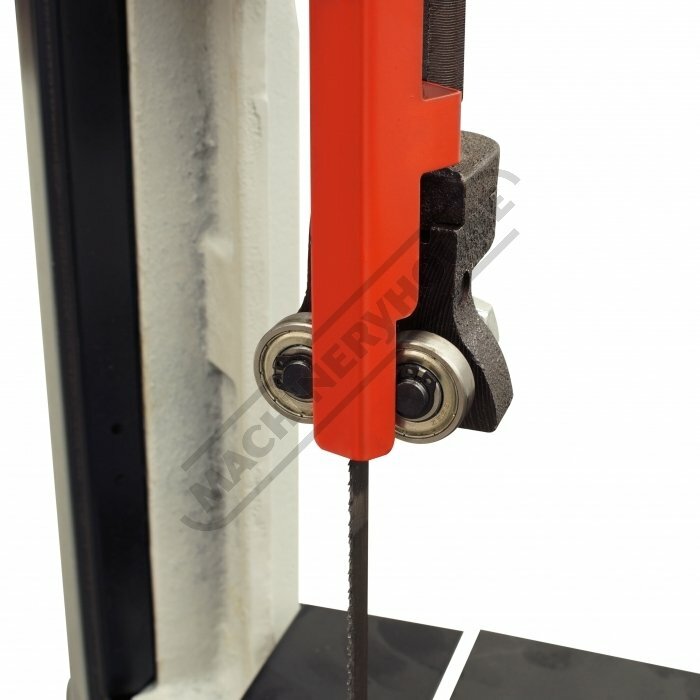 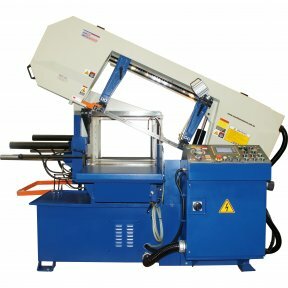 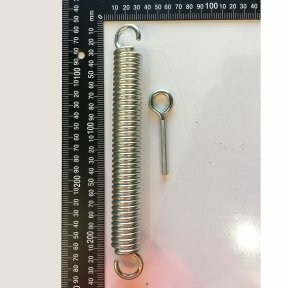 A well priced and very effective machine for cutting steel bars, angles, channels, tubes and so on.